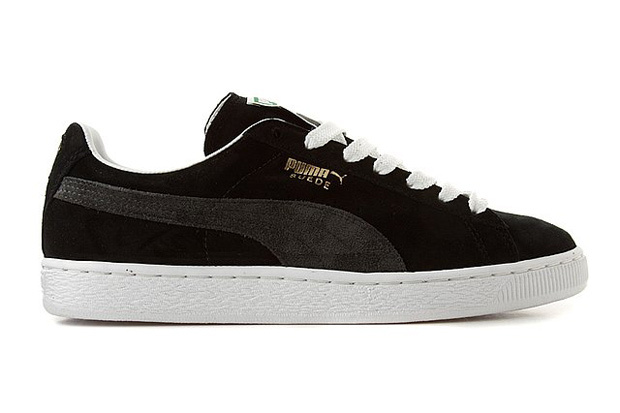 The Puma Suede is unquestionably one of the most infamous sneaker designs in history, and this Black/Grey/White colourway gives the silhouette a stealth vibe. 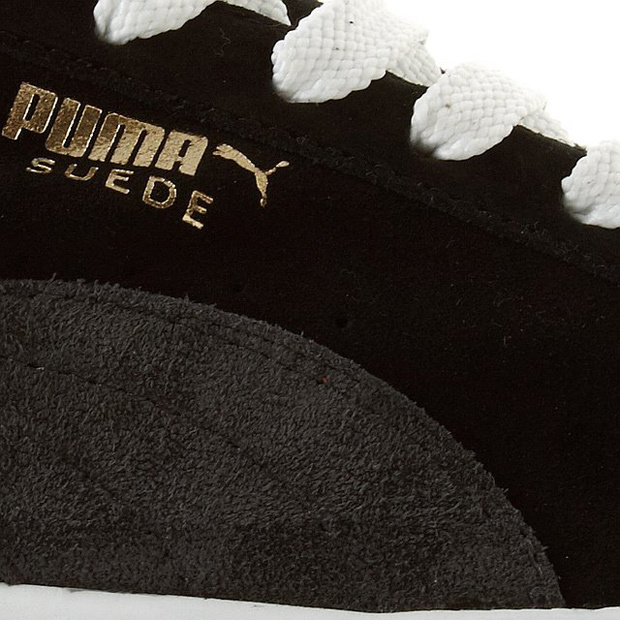 It goes without saying that this Suede is decked out in suede, but I’ll say it just incase some of you hadn’t noticed. 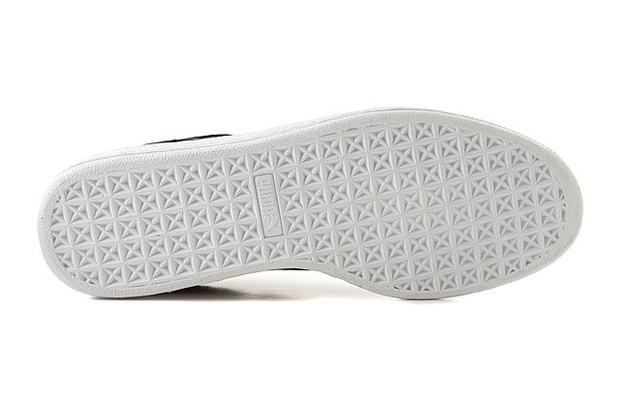 White outsole construction pops against the deep Black upper, joined by the bright white laces. A charcoal grey form stripe sits nicely on the side panel, so close to the black upper that it almost has a sinister creeping feel. 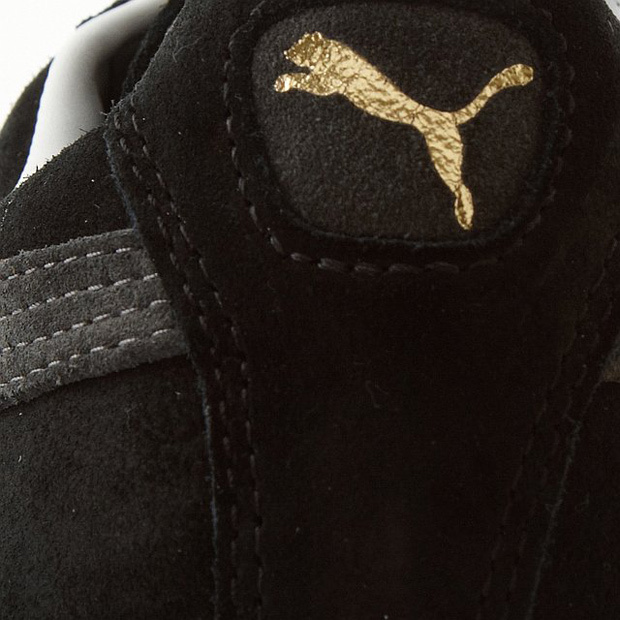 This is the Suede of choice for ninjas. 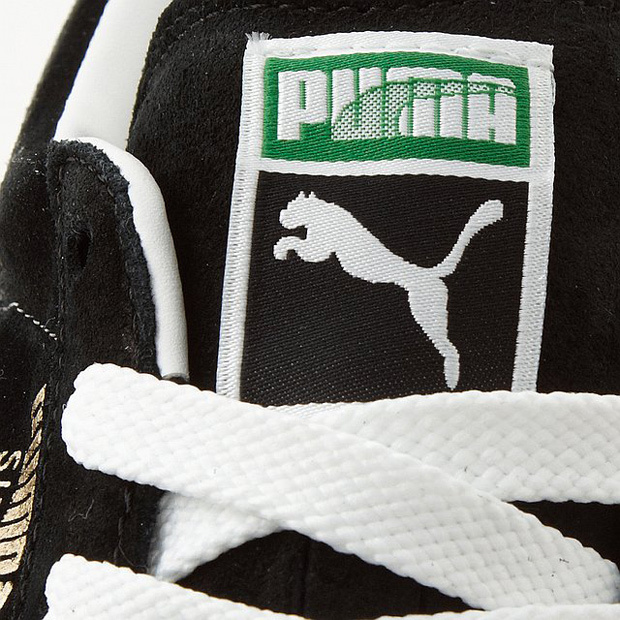 Ever since the late ’60s you couldn’t go wrong with a Puma Suede, and I’ve said it before but every self respecting sneaker fan should own a pair. This particular colourway can be found at Crooked Tongues for the more than reasonable price of £50.